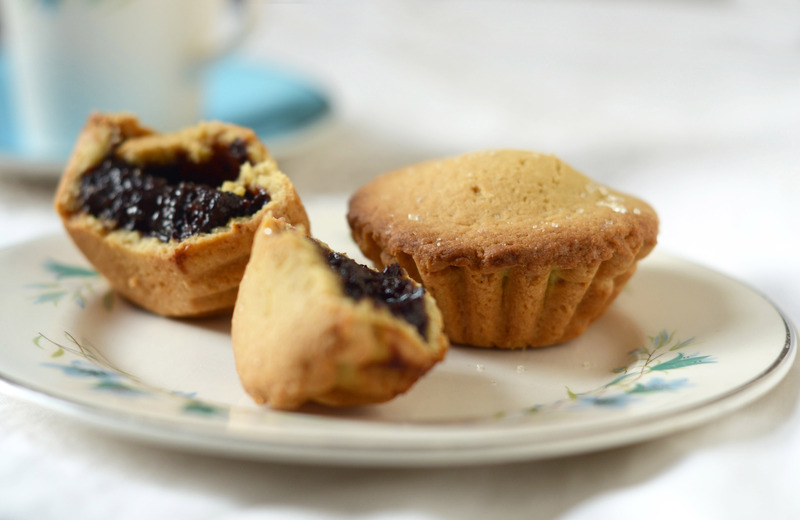 Bocconotti Montoriesi are seductive rustic pastries that celebrate Abruzzo’s most acclaimed harvests around the former Roman small town of Montorio Val Vomano in Teramo. La Raccolta, the olive harvest’s virgin oil is used to obtain the short-crust shell together with the area’s much-prized wheat, and La vendemmia (grape harvest) provides the irresistible dark-as-ink stuffing base courtesy of the region’s fabled fruity Montepulciano grapes. Throughout the dark deep winter, aromatic bocconotti are perfect with a coffee or mulled wine and make a lively cross-seasonal breakfast treat to embrace the day. As hangover cures go, a bocconotto is one of Abruzzo’s best, unlike Paracetamol or Ferrero Pocket Coffee Espresso these one-bite wonders stir the spirit after a particularly heavy night! In bocconotti’s historic form they were thought to be a portable one-bite adoration of Abruzzo’s favourite imports, chocolate and coffee thickened with toasted almonds. 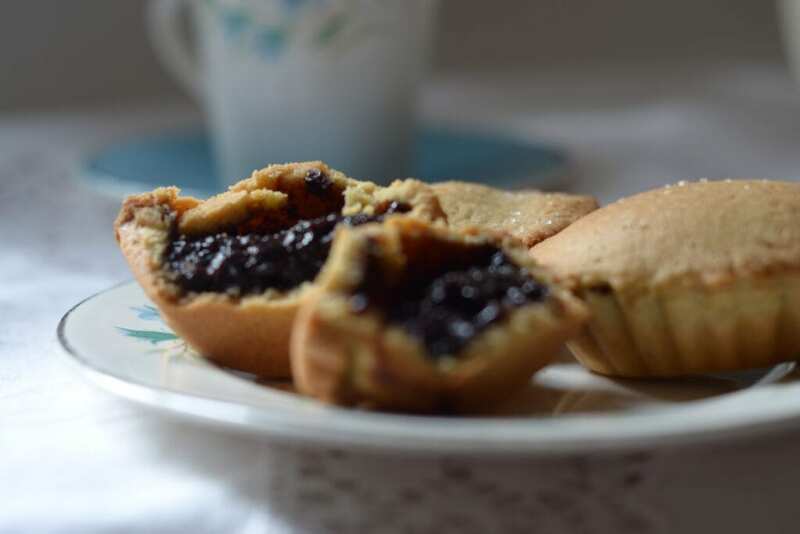 Although there are as many variations of ‘bocconotti’ as there are families and bakers in Abruzzo and the former Italian regions of the Kingdom of the Two Sicilies that now make them, I do love this recipe by Signora Cesira. She encourages a generous lick of your personal preference of liqueur, which combined with vanilla, lemon zest and the olive oil makes a divine smelling dough to knead. Secondly, she weighs the yolks used in the dough that reminds me of my neighbour Italia’s first ever cooking tip – when I questioned her on how many eggs in pasta dough, she answered that depends on how happy the hen is. Rather than the mass-produced grape jam do try and use ‘scluchijata’ (Scrucchiata or Sclucchiata), the extra grape jam of the region. This fragrant Montepulciano jam is slowly cooked, cooled and re-cooked over 48 hours with pips‘n’all, until it reduces leaving almost a natural jam that has a clean, slightly bitter taste. It gets its name from dialect for the action of squishing it through the traditional copper wired jam sieve (la pellicciola). Depending on how ripe the grapes were at harvest the jam requires none to just a little grape sugar for taste, so as conserves go this one must be up there as one of the healthiest. Sieve the flour, mix the sugar, vanilla, lemon zest, oil and eggs together and pour into the flour. and stir. Knead until the dough is soft and pliable. Cover and refrigerate overnight. Grease the bocconotti moulds or if you haven't got any try substituting with mini muffin tins. Roll out small pieces of the dough on a floured work surface, until it is 3 mm thick and 4 cm wide if using the traditional moulds. Line the moulds trimming off the excess. Add a generous teaspoon of filling into the centre of the pastry and seal on top with another layer of dough and trim once more. Cook for 20 minutes and let cool before serving, sprinkle with icing sugar or caster sugar. I love Italia’s idiom and LIA’s new layout. Well of you say they’re healthy… 😉 Happy New Year Sam! Buon Anno ragazze!! Yummy Sam! I need to hunt down or make some scrucchiata here in Adelaide. I recall sweets like this as a kid made by one of our great aunts. They were at every family gathering during the winter. You too ML, how did you celebrate after that lovely sunset? I miss having one of these for breakfast in the winter. What else did your Aunts used to stuff them all with. I know Imperiale d’Abruzzo will be shipping scucciata shortly to Japan shortly , hopefully Aus will be next on the list.